When I walked in, a group of people were having a meeting over an art event, and I assume it could be a meeting spot for local artists or art minded people as the ambience was very free and I saw some design companies on the way. Inside felt exactly like a leisure and somewhat boring afternoon. Only were three customers quietly doing their own business in the seating area of the coffee bar. 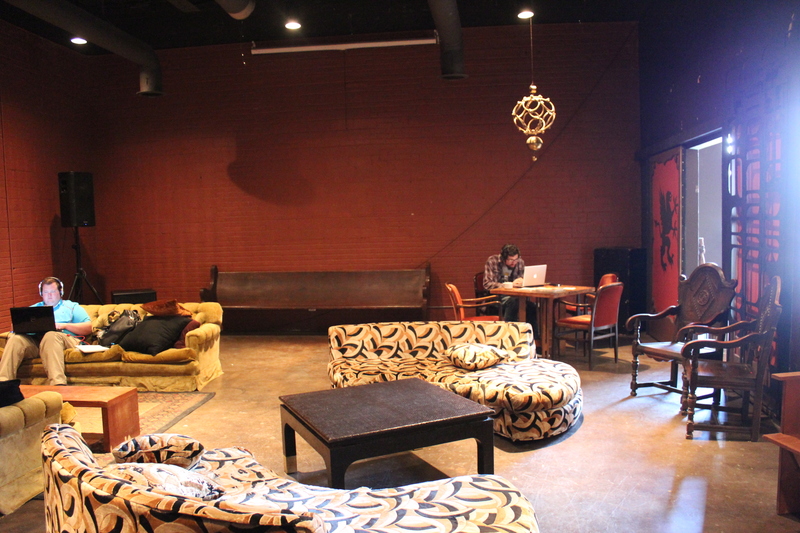 The seating area looked more of a small independent theater rather than a cafe. It could easily be a stage for a play. Or its tables and chairs arrangement was a trick. Doesn’t it look like a stage? Anyways, the iced latte was okay. 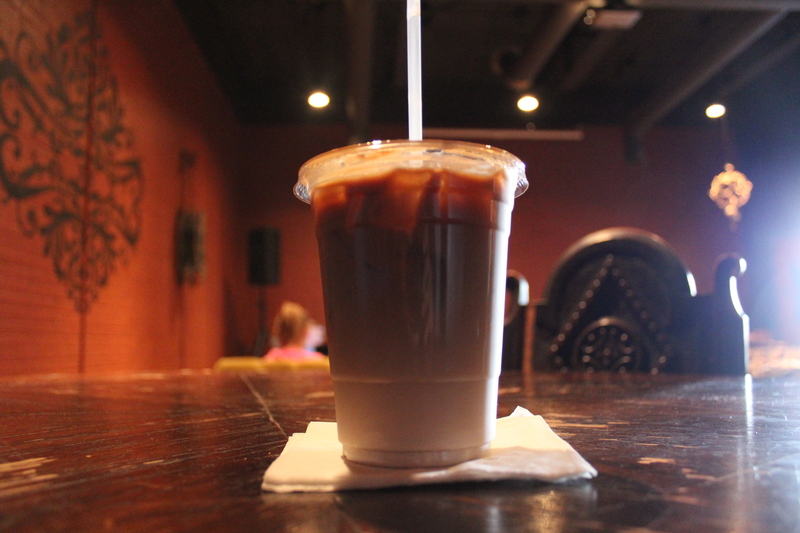 I think so far the iced latte of Inversion Coffee House. 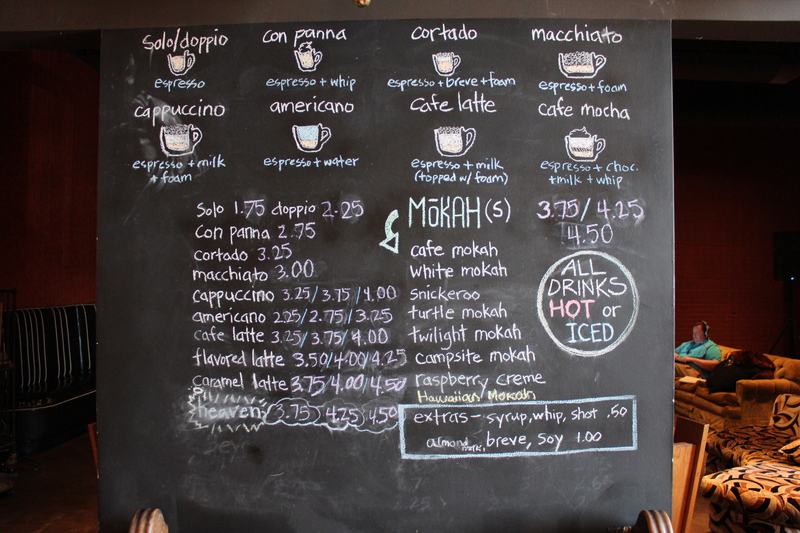 The best part of this coffee bar was its cute blackboard menu. 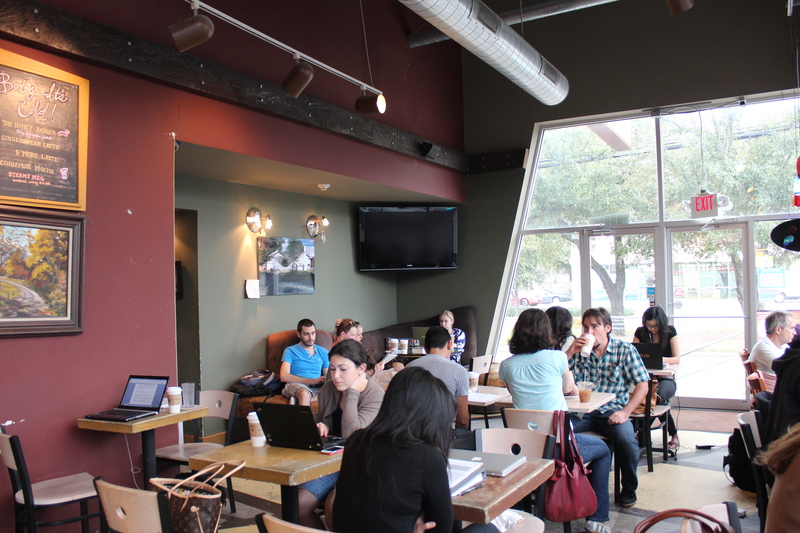 Dirk’s Coffee (4005 Montrose Blvd, Houston) was much better than I expected. 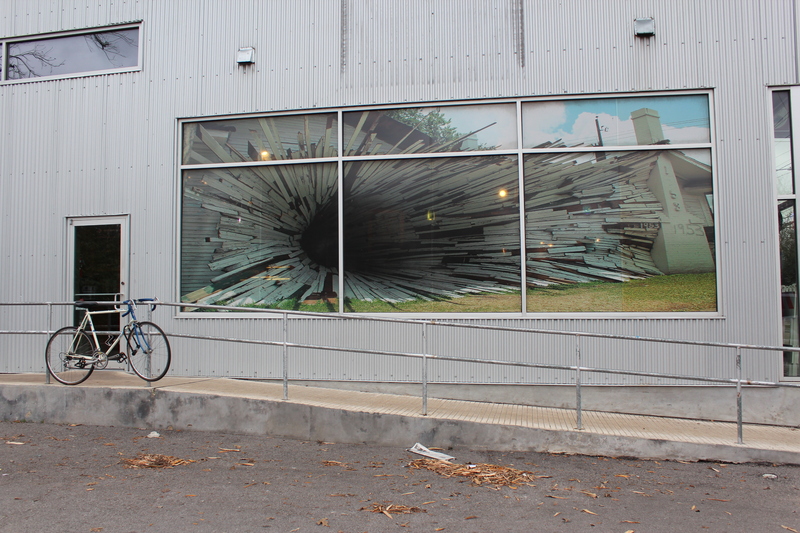 It was recommended to me, and I saw it while driving on Montrose Boulevard. At a glimpse while driving, it didn’t look good to me. 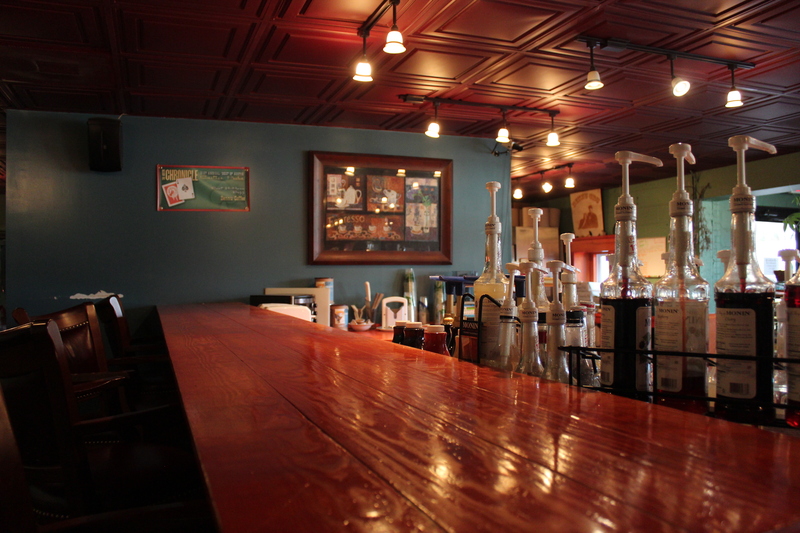 However, the ambience was different when I walked in. Cozy and comfortable should be two words I could describe it. The coffee shop appears to be enjoyed by locals in their mid lives, which must be a reason why I felt more comfortable. The iced latte was good. 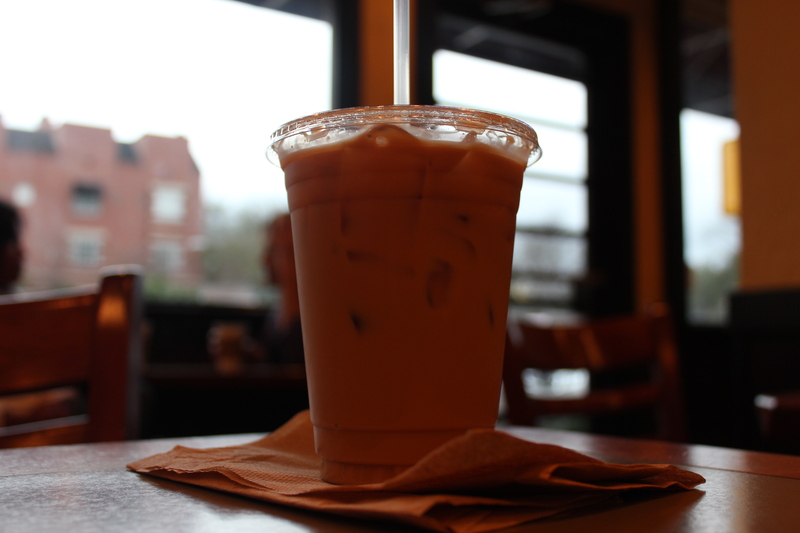 On the Internet, half of the reviews on this coffee house say its iced coffee is not as good as it advertises and its people are not friendly. I think I sort of get it even though I can’t generalize my experience. If you advertise your product is best, you let people increase their expectations. Then, how good the product is, it is not easy to exceed the expectations. 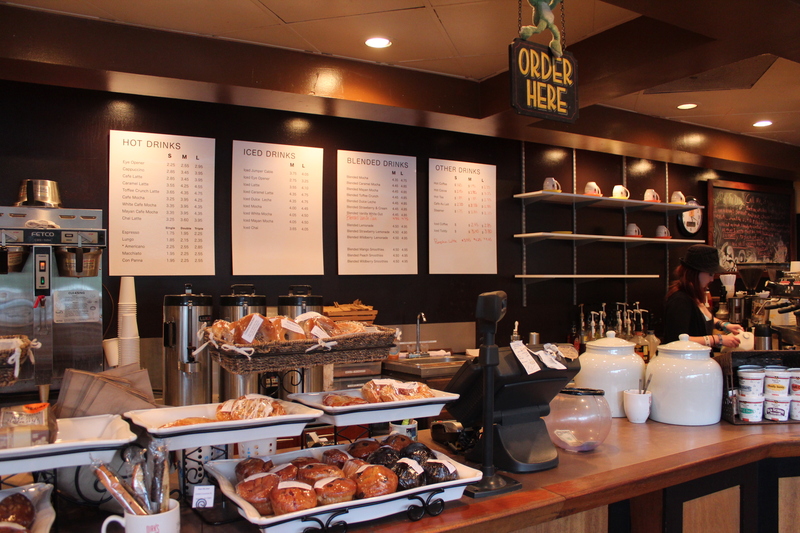 About its baristas, it wasn’t bad or anything. But, when I entered, there was only one girl working and a bit later another guy barista came in. They started some sort of an argument or conversation, and the small shop resounded with the girl’s voice. Whatever they had, they should have kept it within themselves. 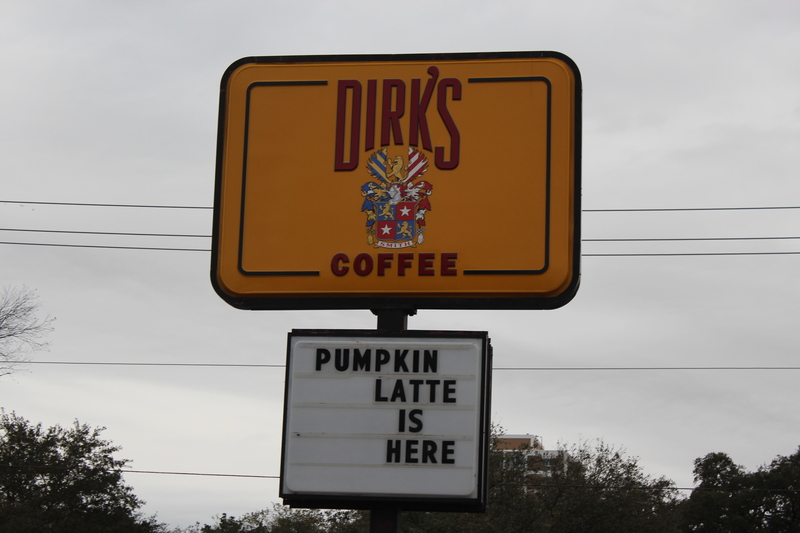 Otherwise, I loved Dirk’s Coffee and would visit again. By the way, It offers a free wifi. 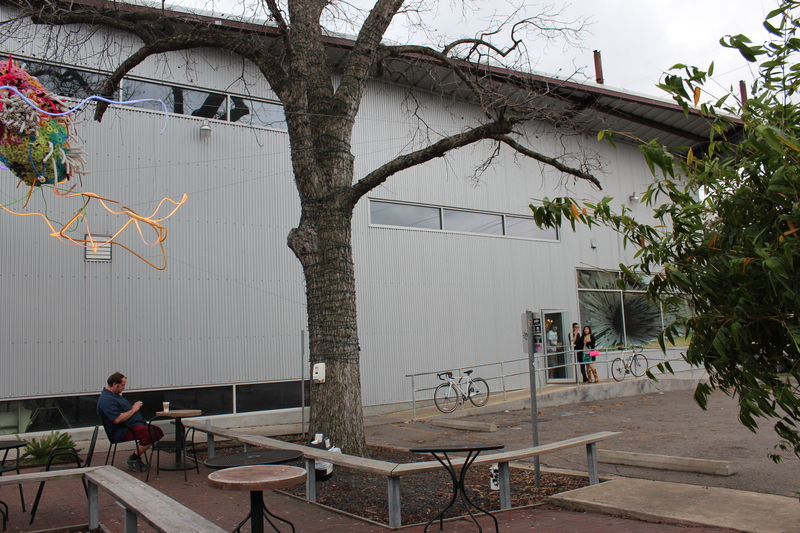 Silvia, who works with me, introduced this cafe to me in case if I visit Austin again (Thank you, Silvia!). 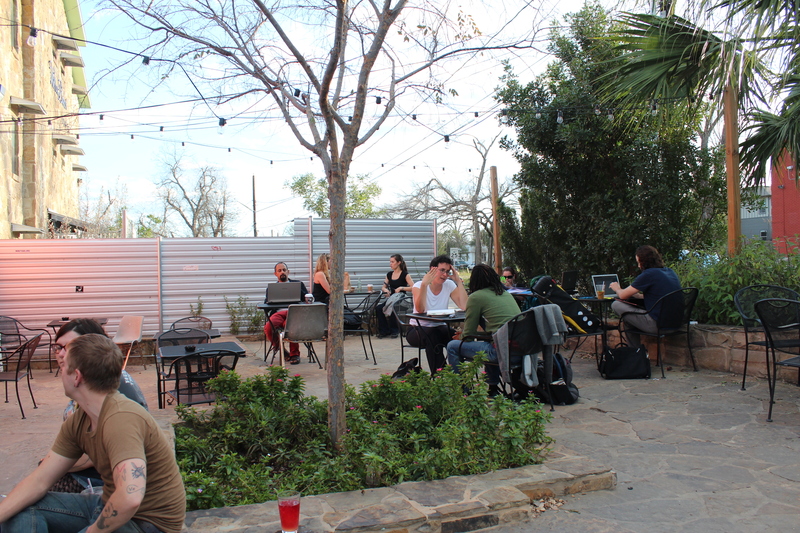 Lately, hang around in Austin seems a routine as we love the city’s vibrant and youthful culture. 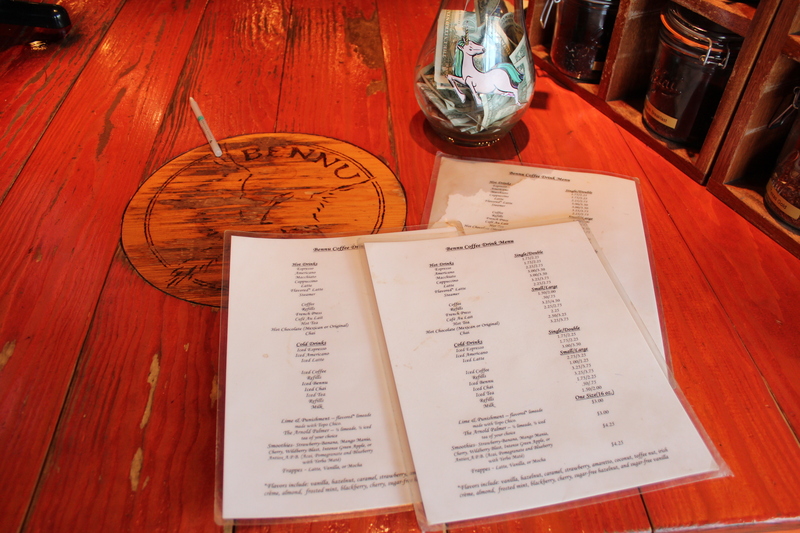 Bennu Coffee was a kind of relaxed library in a cafe setting, reminding me of my university library where I studied and worked. 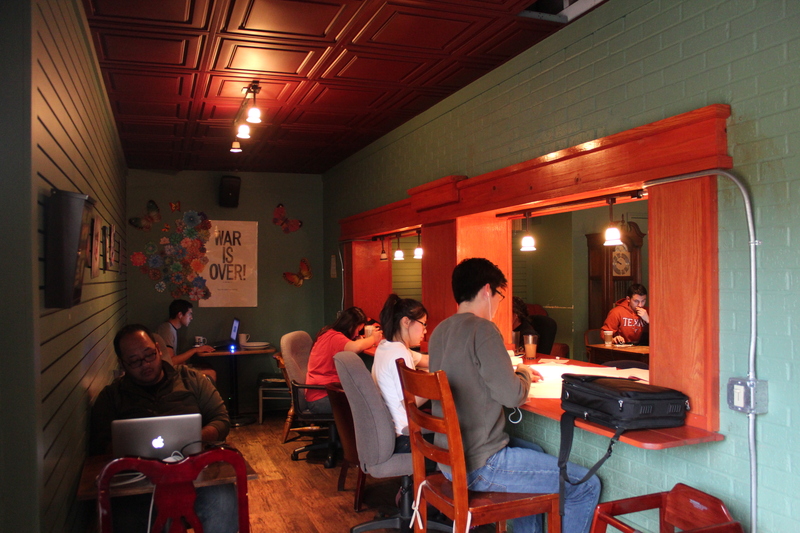 It was as quiet as a library so one even might feel bad chatting inside the coffee shop. 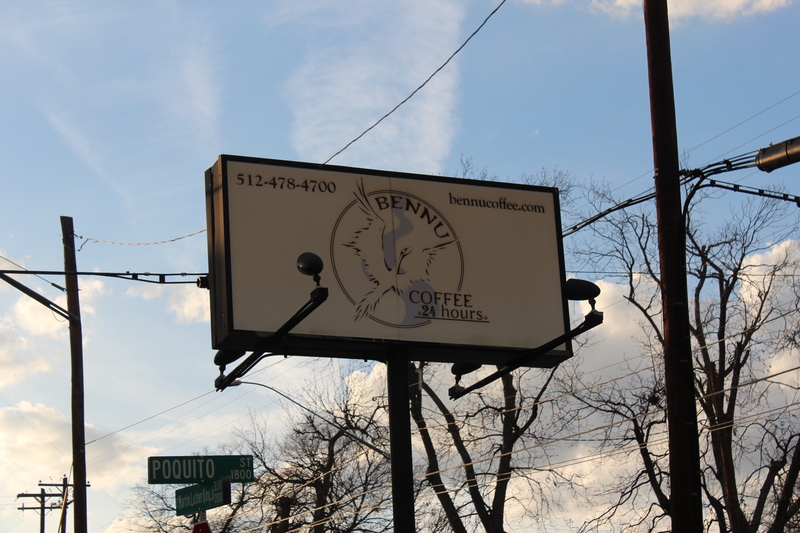 Bennu Coffee (2001 E Martin Luther King Jr Blvd, Austin) is open 24 hours as you might have noticed on its sign and as exactly I had wished during my school years that I had one like this where you could feel the sense of kinship, sharing a feeling of both agony and accomplishment over study and assignments with other students at late night. 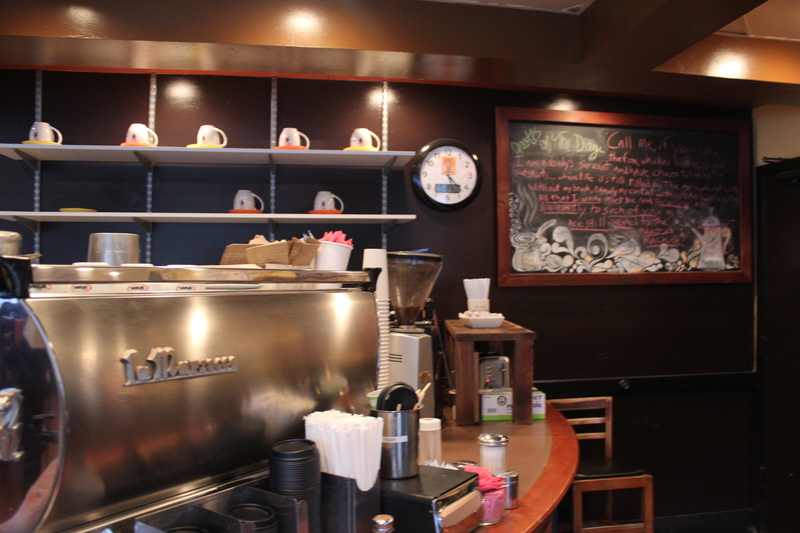 I went through iPhoto to find any photos related to a cafe. The incident that hurt my self-esteem in English sort of fired me up in a way making me want to write more. The best way to improve my English and eventually write better is to read, think and write more. In that sense, I am writing this post one and half years later since the afternoon in Peru and without good photos for it. Even without a good memory about the visit. I will tell you why. I can’t even think of the name of the beach, let alone the name of the cafe. I googled the cafe in vain. 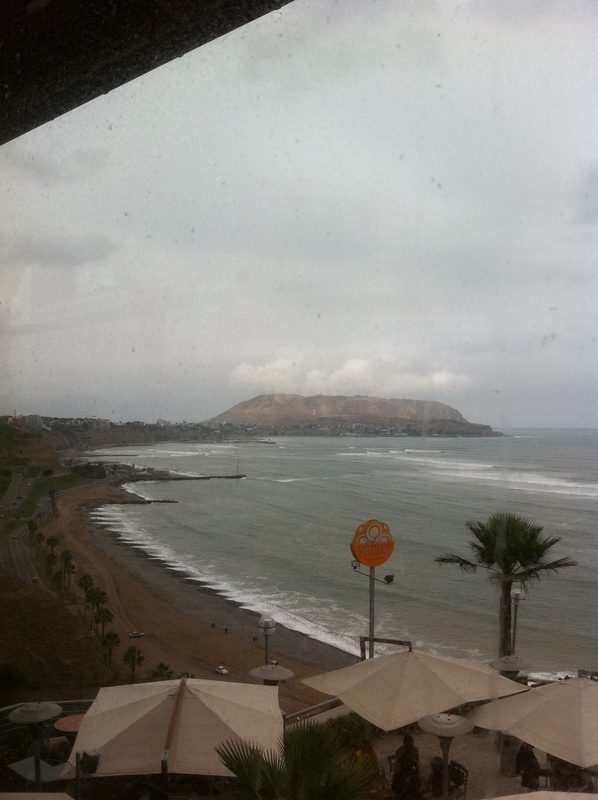 The closest I could find was the shopping center called Larcomar in Lima, Peru (it is still possible I am incorrect.). The center’s webpage showed only in Spanish and didn’t provide many photos to check against my memory. 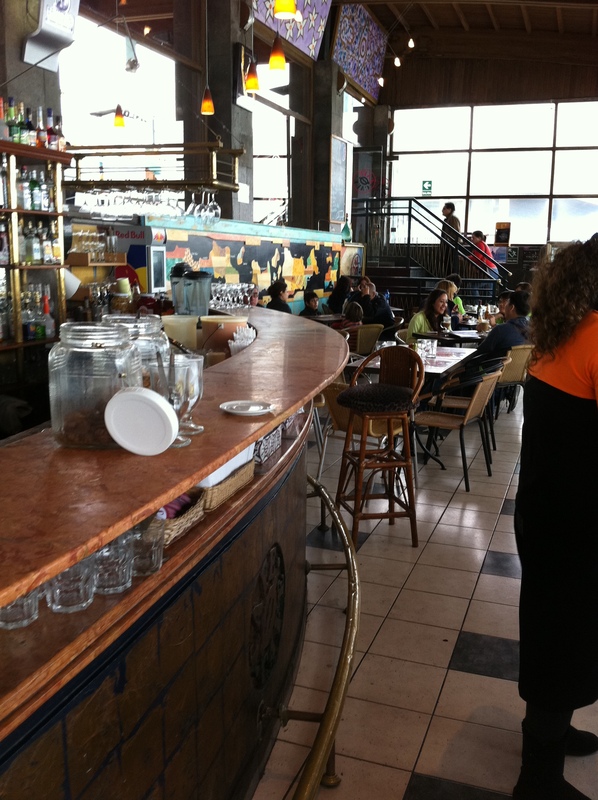 The cafe was located in a shopping center in an affluent Peru neighborhood. It wasn’t any different from the ones in the US. Moreover, it had a great view. 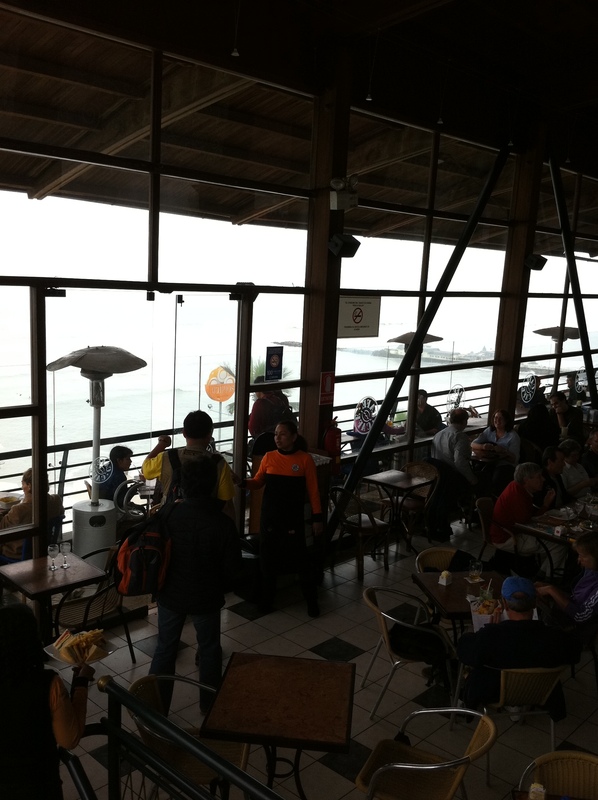 Must be one of the most popular cafes in Lima. Now I think I wish I brought my Canon camera for better photos. In the other hand, I should be appreciative to have had my iPhone with me as the trip wasn’t personal but my church’s a week-long mission trip. I won’t write what the mission trip was about and how it was because it seems too much to handle in this post and I already wrote a 3,837-word essay about the trip back then. The visit was on our last afternoon after several days with the children in poverty. 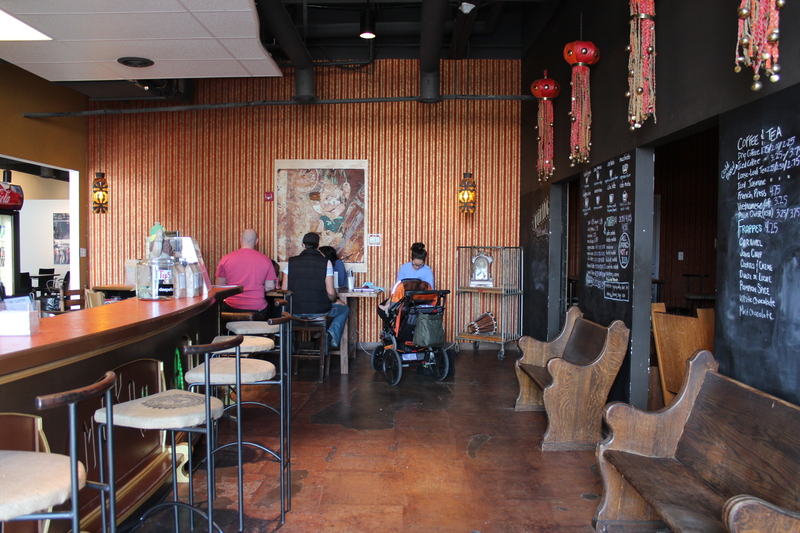 The very familiar affluence of the cafe and the area was somewhat uneasy for me. I wouldn’t have gone there if it was a solo personal trip, but I had no choice and also assumed that the missionaries who guided us wanted to show us a nice place in the city they love and to show us their appreciation. If my memory is right, I ordered a latte. 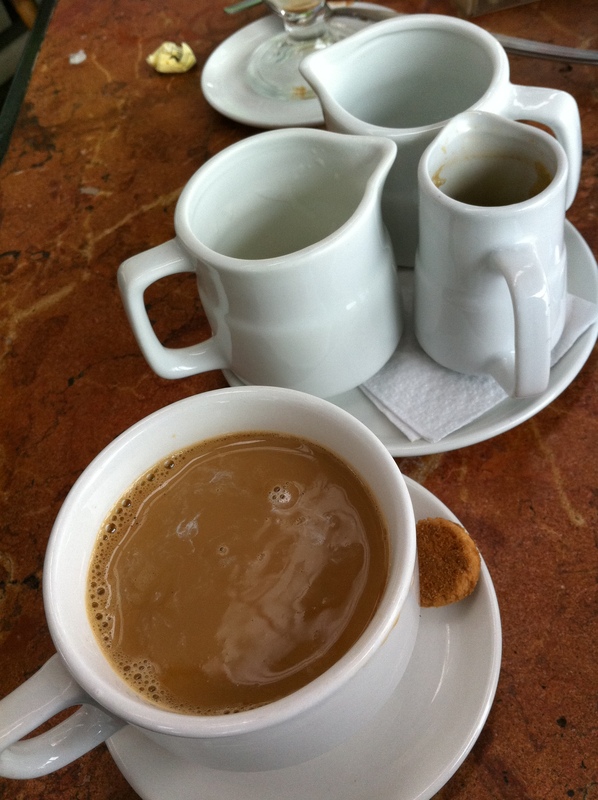 It came with four cups, one empty and the others with a shot(s) of espresso, (supposed-to-be) hot water and cream. The espresso was very strong, the water was just warm and the empty cup had dust. 🙂 However, the nice view complemented the latte in Peru’s chilly July weather. In my memory, Peru (Lima) was in grey from the heavy dust without enough precipitation, unbreathable due to old cars’ serious emission and deeply affected by high inflation, as opposed to the affluence of the cafe ambience. Maybe its ever famous and popular Machu Picchu would be giving me a different impression if I have the chance to try it. Hopefully. There was an incident that hurt my self-esteem of my English, which happens from time to time as a non-native English speaker. 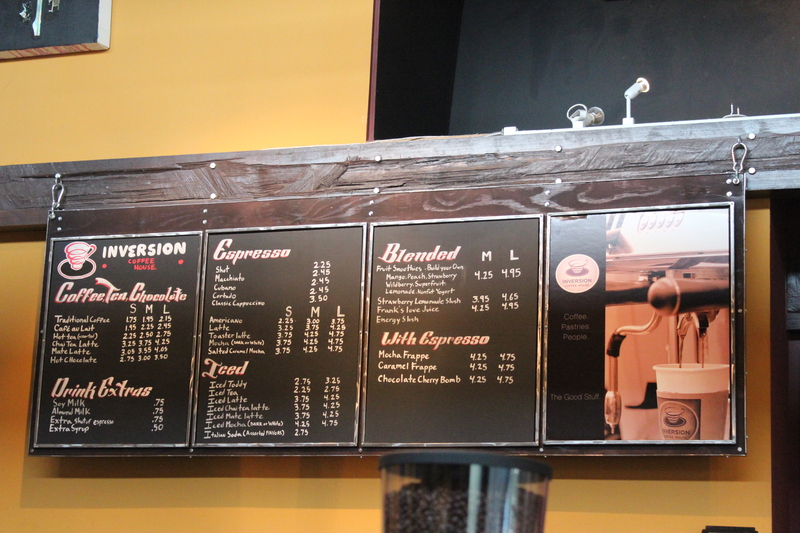 Then, I thought it would be a perfect time to visit Inversion Coffee House on this Sunday afternoon. 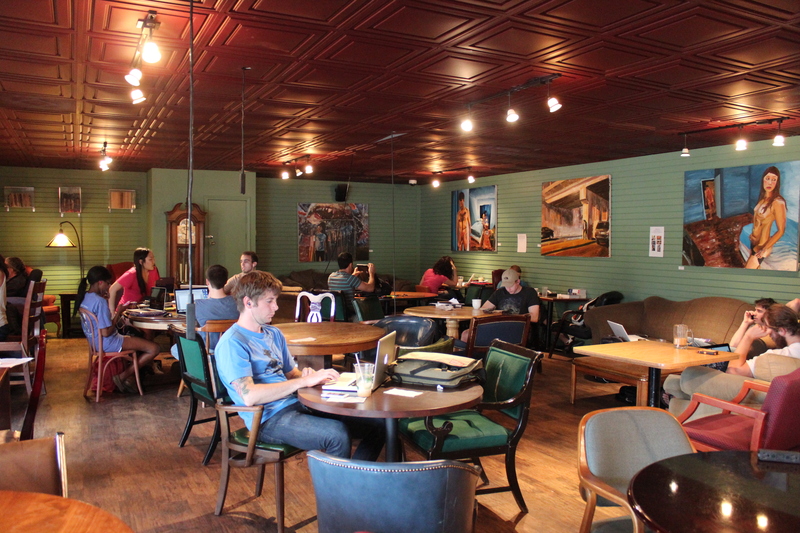 At a table, I would enjoy typing something on my notebook and searching the Web among people who are passionately doing their own business and lose myself to the ambience of the coffee house. 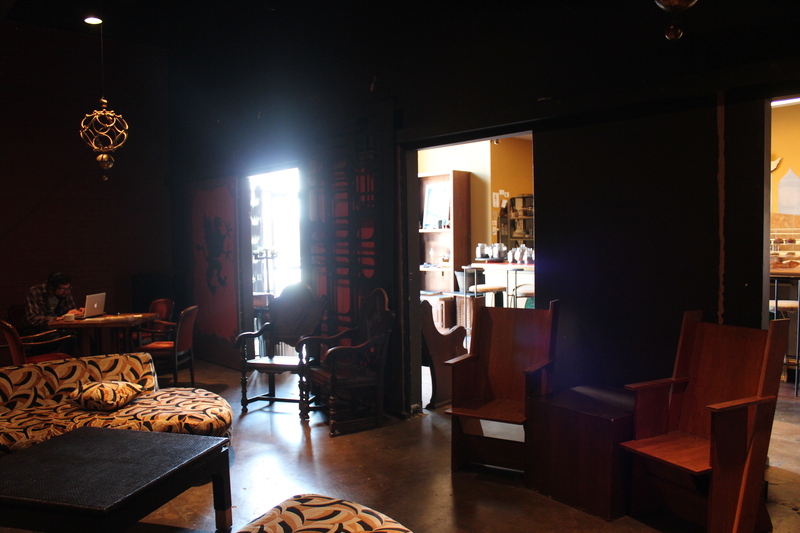 Indeed, I enjoyed the coffee house very much and loved the ambience. It was a good choice. 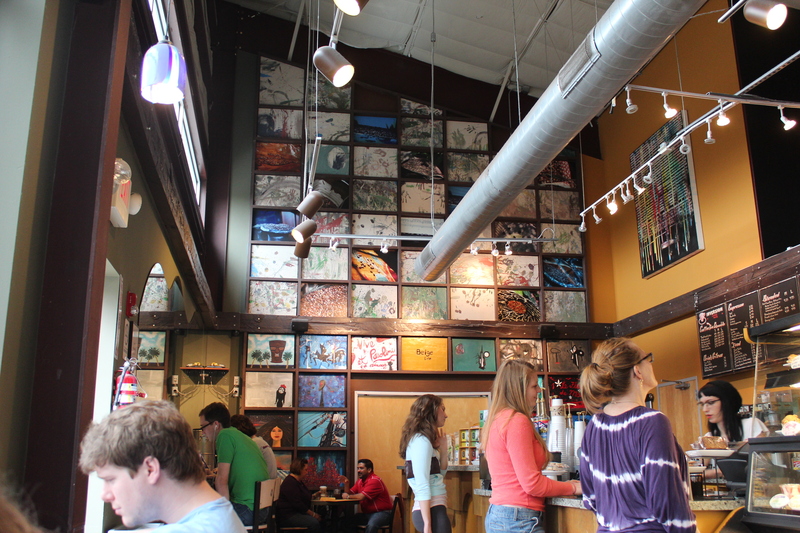 Inversion Coffee House was arty in and out. I loved the art works on the wall. 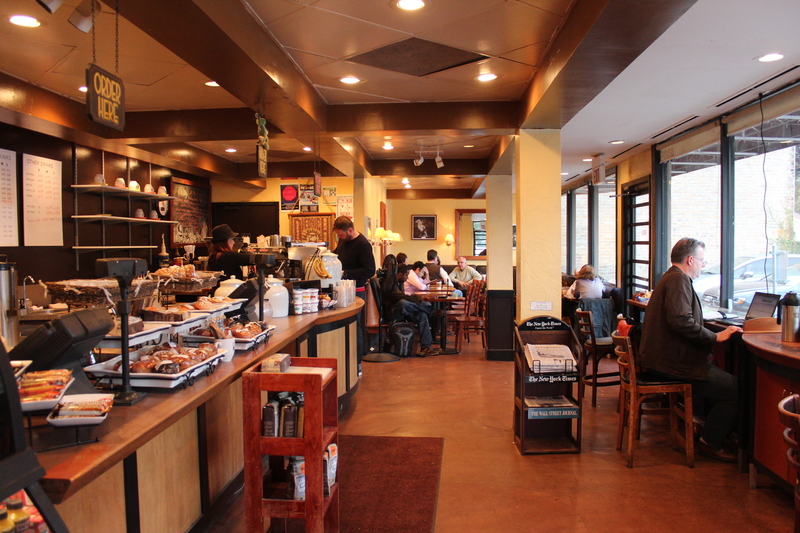 There is another popular coffee house I will visit sometime soon. 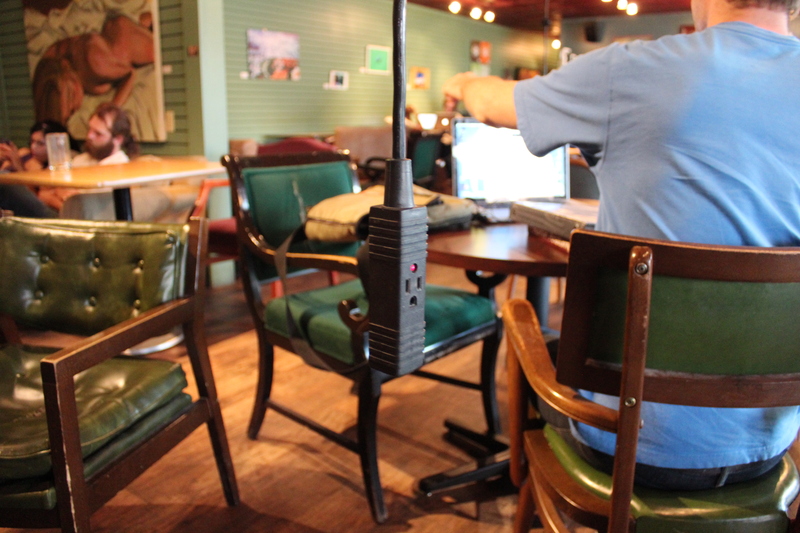 A review of the cafe was a mild scolding toward the complaints about its no wifi offering as the reviewer claims that a coffee house is for coffee drinkers and chatters, not for long-hour sitters who more likely need wifi, so that it is perfectly fine not to provide wifi, which is okay. However, what I don’t agree with the review is that nowadays a coffee house is for the loners who do their own business, most of which requires wifi and good table settings. 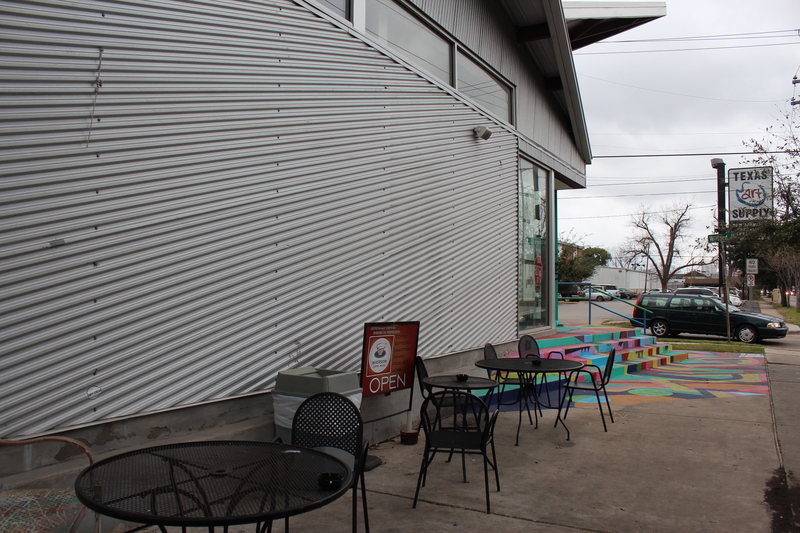 Inversion Coffee House (1953 Montrose Blvd, Houston) was a perfect place for the loners providing free wifi and many seats. The long table along the window accomodating nine people was great. So was its private parking lot. Otherwise, it wouldn’t be easy for me to find a parking space on Montrose. 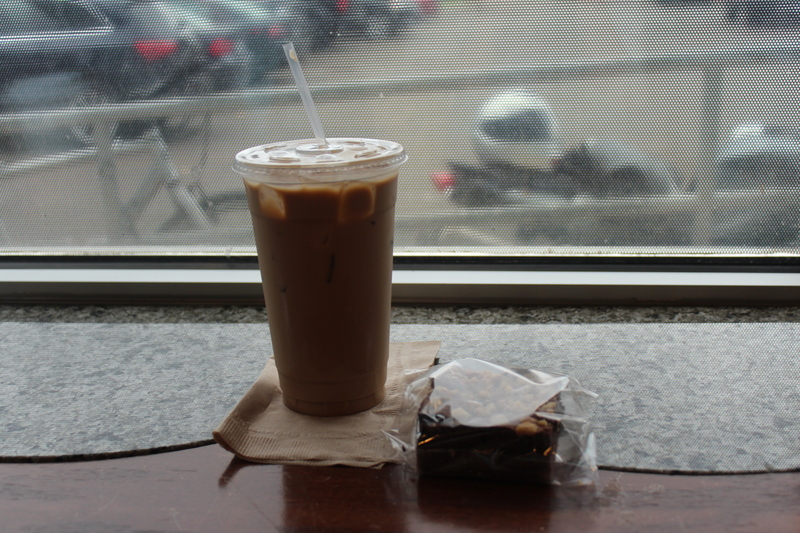 I ordered a large iced latte and a brownie ($7.79 in total) from its simple menu. The iced latte was rich and good. As you might have noticed in the photos, people were wearing short sleeves and shorts. Houston is in the high 70 degrees. Like a different world as some are suffering from the very cold winter in other sides of the US. 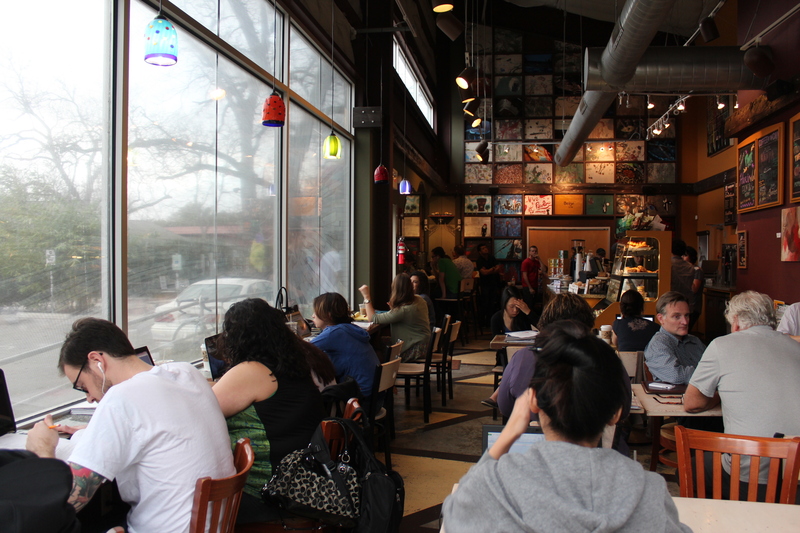 Another view of the coffee house from my seat. 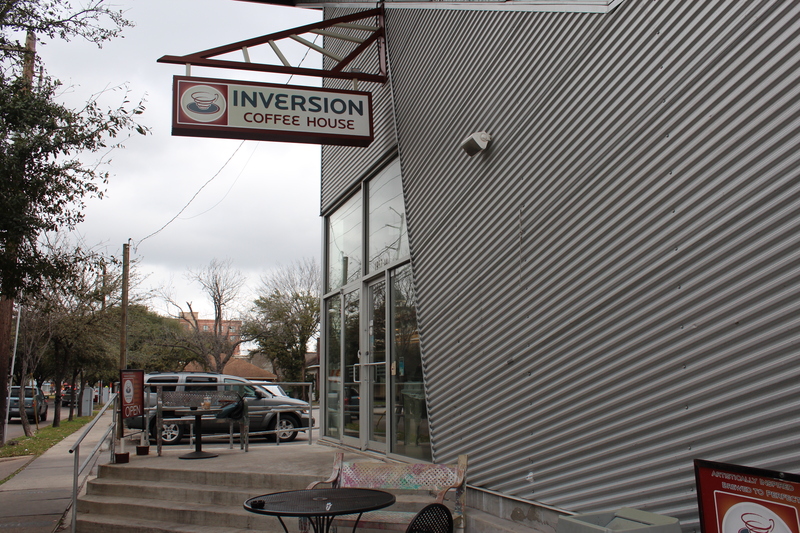 Inversion Coffee House is, in fact, my first Houston cafe posting. 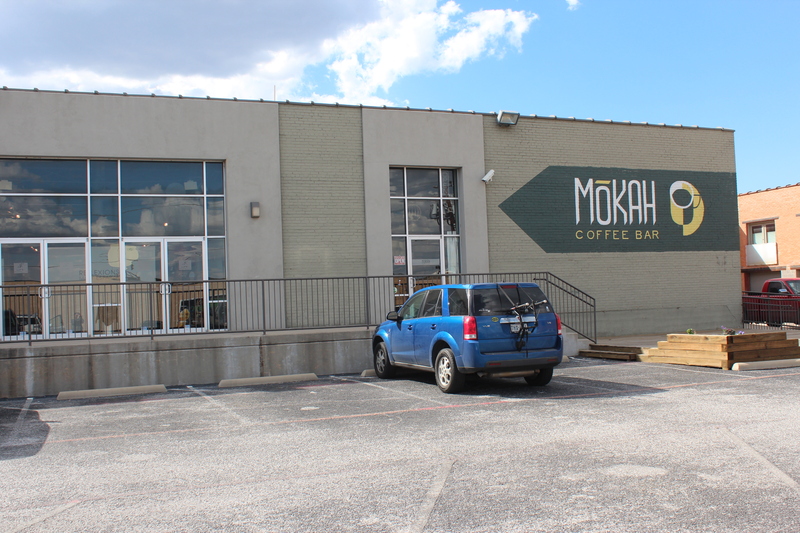 As I only find Starbucks Coffees within my usual living radius, I was excited to find this nice and comfortable cafe in Houston. More excited as there are more to come. 🙂 I will visit this coffee house again with my boyfriend. More seatings around the coffee house. Outside was empty due to raining. *I had to re-post this posting. I do apologize that my posting followers’ likes are gone by doing this. Follow if You Would Like!